Wish there were more hours in a day? Most business owners do. But there are ways to make better use of the 24 hours you do have. 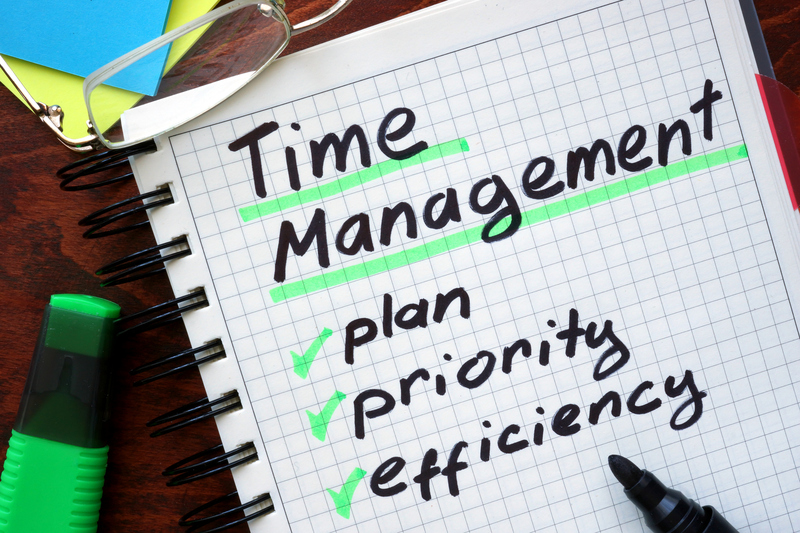 Reading through these time management tips won’t take too long—we promise. In fact, you might actually start gaining some time back if you start putting them to work today. 1. Stop wasting so much time. Consider the net impact of these activities on your day-to-day productivity—and reconsider how much time you spend doing them. What do you need to accomplish this year? What are your monthly targets? What can you do this week? Today? Set down some hard numbers and do some crunching. Define some productivity success metrics and let data guide you in the right direction. When you have some metrics-backed goals in place, you’re more likely to focus in on the most income-generating (i.e. productive) daily activities. Not urgent and not important — Low-priority stuff that offers the illusion of “being busy.” Do them later. This tip helps take the guesswork out of “what should I do next?” and can streamline your entire day. You know what you need to accomplish on a daily basis, more or less, because you’ve set goals and prioritized common tasks. So at the end of every workday, take 10-15 minutes to de-clutter your desk and make a list of what you need/want to get done tomorrow. It’s a great way to decompress. And then in the morning, arrive a few minutes early and revisit that list…make any necessary changes…and write down your plan of action. Then get to it! 5. Lean on your team and delegate. You can’t—and probably shouldn’t—go it alone. Hire wisely. It’s important to trust your employees and feel comfortable handing them tasks. The point is for you to spend your time doing what you do best. The rest? Put it into capable hands and call it a day. Have a minute? Read 5 Must-Haves to Attract and Retain Your Workforce-on-Wheels. The marketplace is filled with tech tools to help you automate many of your daily tasks, from accounting to marketing to payroll. There are collaboration tools for instant messaging and sharing documents in real-time. There are electronic calendars you (and your team) can access 24/7 on any computer or device. Here are 6 Productivity Apps That SMBs Must Check Out Today. Fleet telematics technology helps you effortlessly manage your company’s vehicles with features like automatic mileage tracking and expense reporting, real-time vehicle/driver tracking, tasks and messaging, and so much more. Still Sticking To “How Am I Driving” Bumper Sticker? Time To Evolve Your Fleet Safety.